The Xbox One SmartGlass companion application for Windows 8, Windows 8.1 and Windows 10 devices has recently been updated with a bunch of new features. Let’s have a look at the new features and download the latest version from the Windows Store. 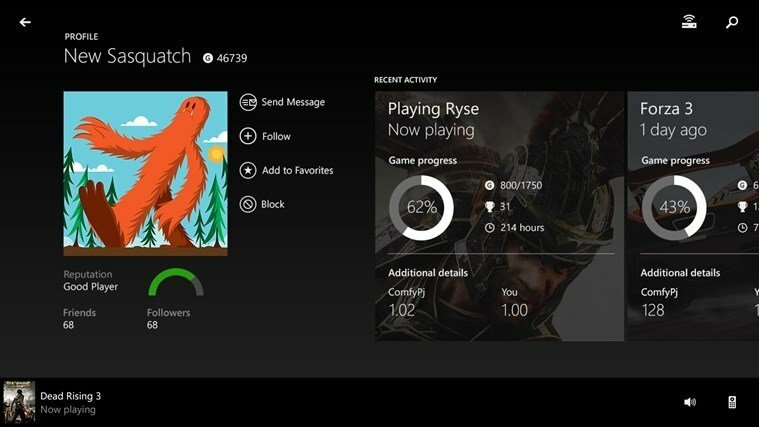 By using the Xbox One SmartGlass companion app for Xbox One, Windows 8.1 and Windows 10 users can connect and control their Xbox One. This is really useful especially when you have a Windows tablet, but you can do the same from your Windows desktop PC or your Windows hybrid device. Of course, many bug fixes and other unspecified minor improvements have been deployed, as well. Go ahead and download the latest version from the Windows Store now.